At this time of year, many Americans are beginning to get stressed about getting those all-important tax returns in on time. April 15th is the big day and it can be all too easy to get bogged down with the numbers and expenses that you need to remember. 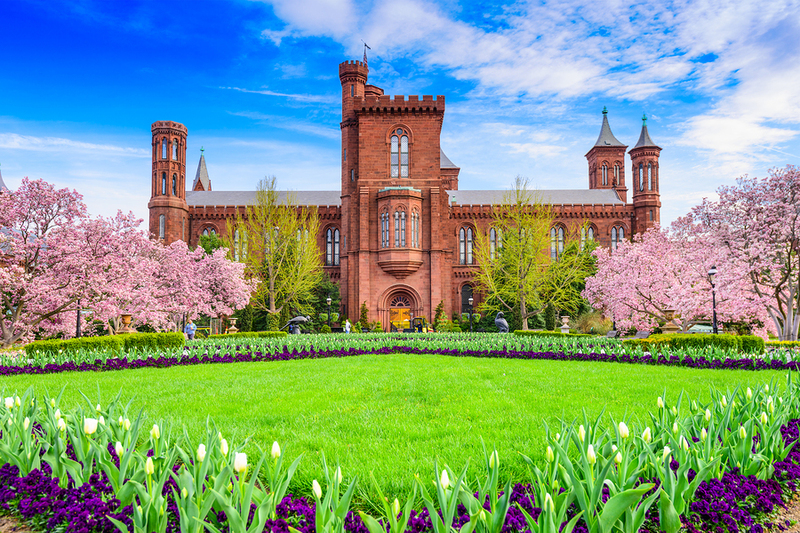 Instead of being stuck inside with your spreadsheets, take a break and go see the sights that Washington DC has to offer. Club 9:30 is one of the best concert halls in the area and boasts many live acts. This intimate venue is an exciting place to see different genres of bands with a plethora of drinks to sample. They previously hosted many top acts gracing their stage such as Adele and Snoop Dog. Check out their upcoming line up to see if one of your favorite musicians is playing in the near future! There’s a selection of micro brewed beer for aficionados and exciting cocktails to try too. Just outside the city of Washington DC is the city of Annapolis, Maryland, where you can learn to sea fare. This waterside town offers sailing lessons and even cruises to help you get your sea legs outside of the city. Annapolis is only an hour outside DC via public transport and the links to it are exceptional. It’s a brilliant way to spend a side trip from DC, as it offers a totally different atmosphere to visitors. The Rock Creek Park in Washington DC is a top place for visitors and residents alike as it boasts a suitable location for almost every outdoor activity. Those who venture here can do horseback riding, hiking and even biking for some outdoor leisure time. Even walking around the park can be a good distraction and there are miles of trails to be discovered. The collections at this world famous museum are constantly changing, with new exhibits being unveiled on a regular basis. For this reason, no two visits here are the same and you can learn about a number of different areas of history. They have child friendly exhibits too that will engage them in the reading material that makes history fun again. If you’re interested in visiting then come with us on one of our tours. For the freshest food, the place to shop is Union Market, where independent sellers share their unique goods. These stalls are open each day and there’s a huge variety of different foods to sample. They have fishmongers, florists and even butchers all in one place with the freshest produce from local areas. They even have artisanal craft stalls to pick up last minute gifts such as jewellery, candles and beauty products. Just entering this market will have your mouth watering as the smells from the various stalls combine into one interesting scent. This is a must see for foodies in the area and most food stalls will even offer a sample to tempt you in.